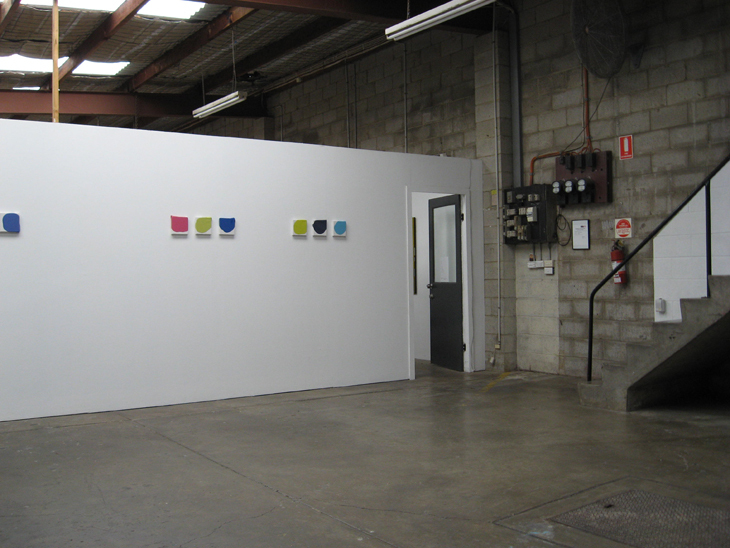 Meta Materials, solo show, Factory 49, Marrackvile, Sydney, AU. 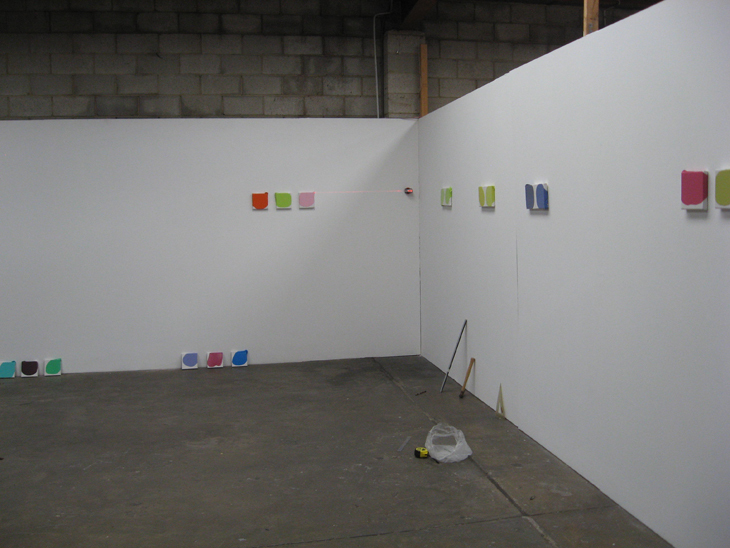 9-19th February 2011. 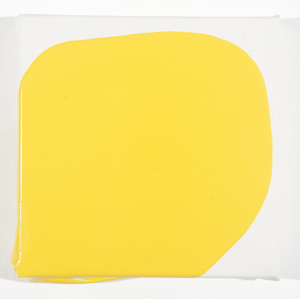 These 'objects' address characteristics of the materials of painting. 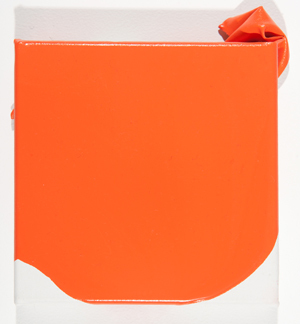 Suspended in the early stages of deconstruction, canvas begins to peel away from the support. 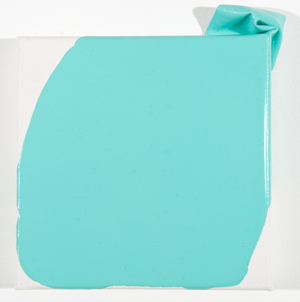 Deploying exterior gloss paint with colours drawn from the swatch palettes of a commercially produced range – “Colours of New Zealand” – and made with a single pour, the paint finds its own way across the canvas to solidify as an autonomous object. 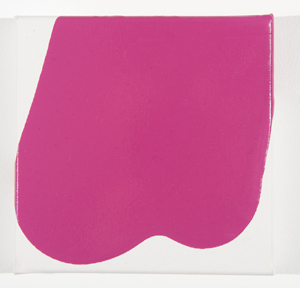 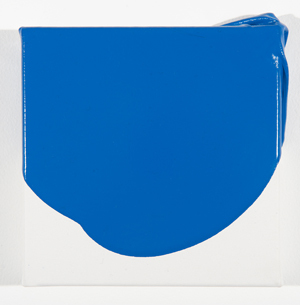 untitled, 2011, enamel on canvas, 200 x 200 mm.